We’ve got about a month between when we get back from a non-airstream vacation (nicely provided by my in-laws) and when we have to be home again. 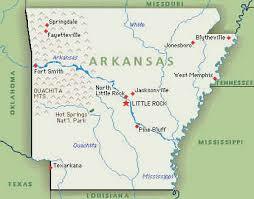 We think at this point we are going to head off towards the East and go to Arkansas. We have between three and four weeks. This may give us enough time to make it into Tennessee for a bit. We’ll have to come up with a name for this adventure. Alan thinks we should wait until we get home to give the trip an official name. We called our last trip “Sunny Southwest” but by the time we got home we thought High Dessert Drive might have been better since we did spend our entire time in the high dessert. Suggestions are always welcome! Alan has spent our time at home building a “technology storage bin”. We take our laptops and cell phones along and they end up taking up a lot of very valuable space and we are always pushing around charging cords. This unit will go under the small corner table. He’s also built a small drawer for the same area. There really isn’t any place to just put some paper and a pencil in our little 23′ Airstream. My job was to sew up a couple of fabric sleeves for foam to keep the laptops snuggly in their slots. I’ve done them in Muslin for now, but I’ll remake them when we get back in fabric that matches the rest of the decor. I’ll take pictures and post them when he installs the unit next week. It really is pretty cool and well designed! I carried it to Retreat with my Night Bee (Pins and Needles) and didn’t work on it at all. I did work on it over the last two weeks when my two friends – Teresa and JoAnne came over for a visit and sewed with me. I managed to get all of the sashing fabrics out of my Stash! I finished up the piecing today. I went through the trouble of putting mitres in the corners after chatting with JoAnne about the subject and seeing her beautiful Double Wedding Ring that had mitred corners. 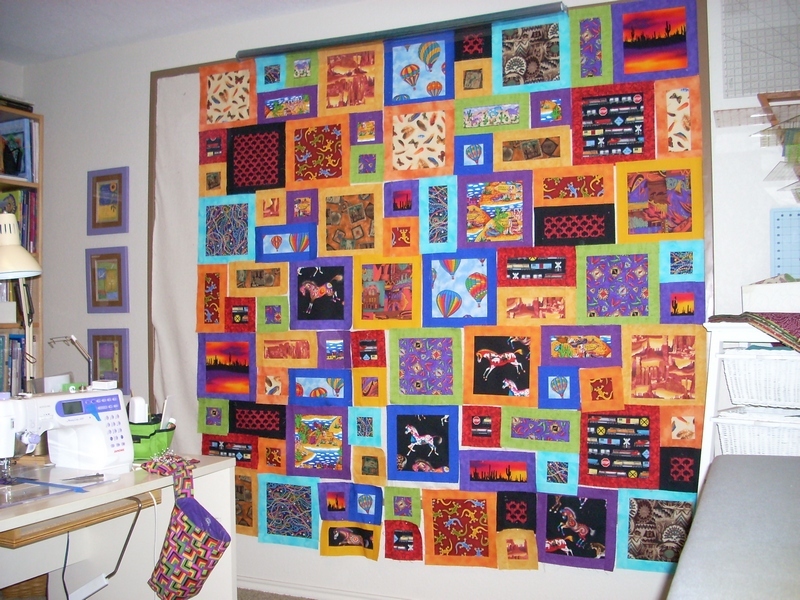 (JoAnne definitely inspires me to do better work – her piecing is always beautiful.) The mitres really went in without any trouble. 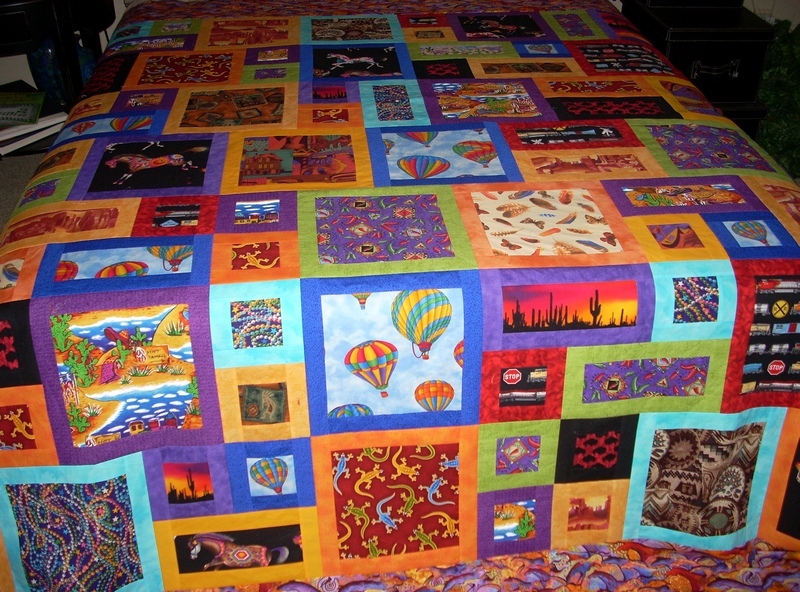 Here is the quilt – before quilting. I haven’t decided yet how to quilt it – I may stipple it all over on my short-arm frame or rent time on a long-arm.